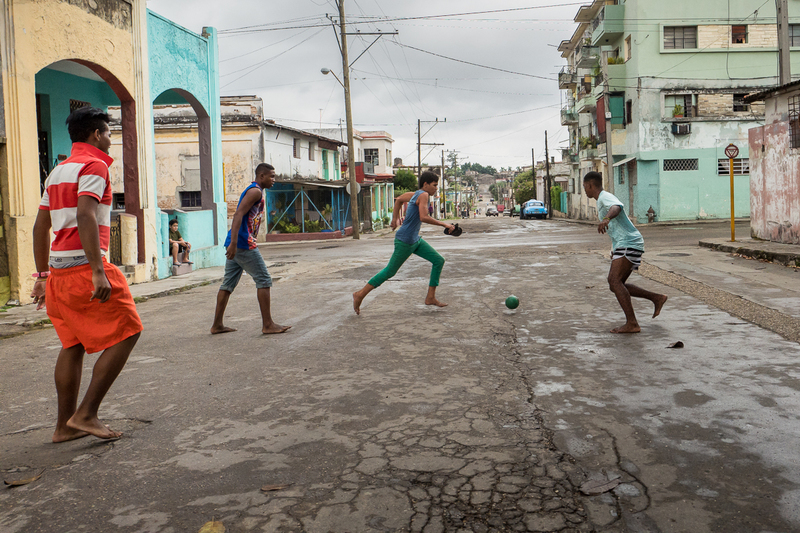 Marianao, Havana Teenagers play soccer barefoot in the streets of the Marianao municipality. Since a few years, soccer is becoming increasingly popular and seems to be replacing baseball as the number one favorite sport in Cuba. This popularity is partly due to the decision to broadcast European soccer games on Cuban television.